On Wednesday, the Planning Department issued a report determining that a proposed residential development on a hill at the city's center will not have a significant impact on its surrounding environment. 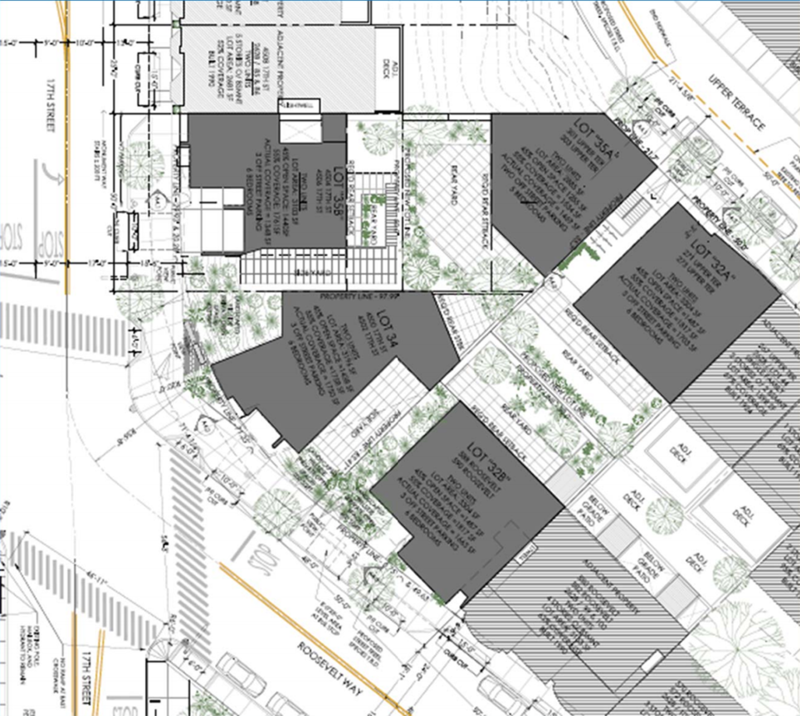 Planning yesterday published its preliminary environmental impact report for the Mount Olympus Project, a residential development that would create and renovate ten homes in three buildings. Located on a steep slope, the 15,800-square-feet Corona Heights parcel is bounded by Upper Terrace, Roosevelt Way and 17th Street. 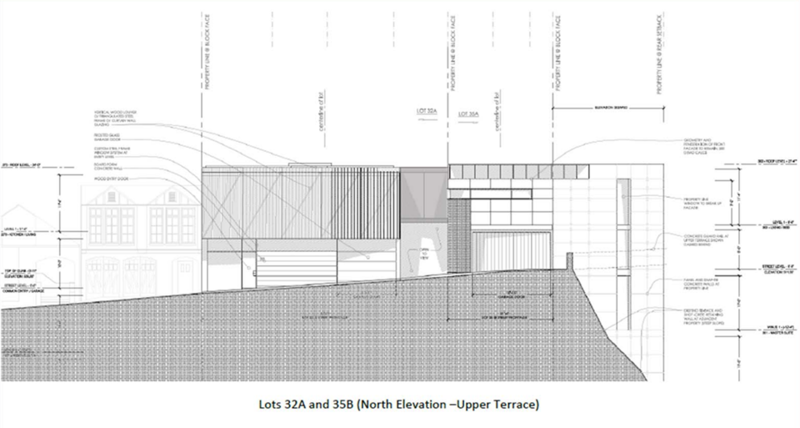 Plans call for replacing an existing single-family home at 271 Upper Terrace with a new two-unit building, renovating one rent-controlled two-unit building at 301-303 Upper Terrace, and constructing three new buildings on vacant lots at 17th and Roosevelt. 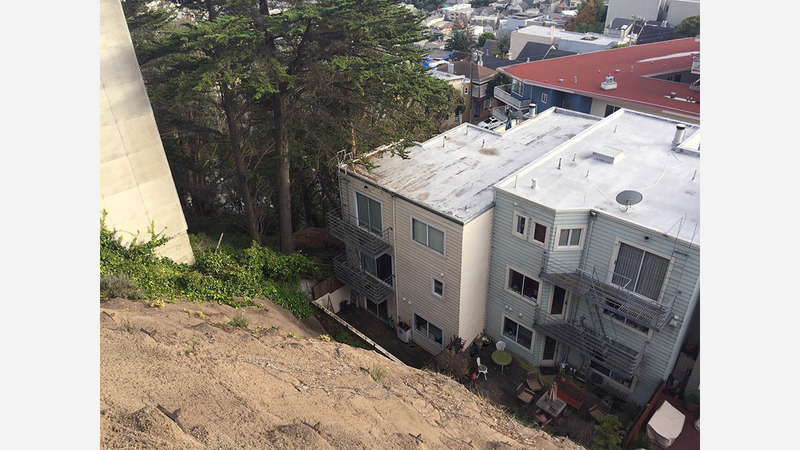 As we reported two years ago, some neighbors have expressed concerns in community meetings regarding the potential disruption of ongoing construction work, along with fears that the new development could destabilize the hillside and cause rockslides. At the time, Gary Weiss, president of Corbett Heights Neighbors, told Hoodline that the proposed buildings were out of scale, since "the proposed new ones in this project would dwarf existing homes." Foundations for new homes will set 50 feet below the surface, requiring the removal of about 13,640 cubic yards of soil during construction. As a result, a substantial portion of the existing 95foottall hillside on the project site would be excavated. Residents emailed Planning with concerns about the scale and design of the proposed development, along with "traffic, transit access, and pedestrian safety during construction," according to the report. Other topics such as noise and vibration from construction, poor air quality due to release of silica dust from the Franciscan chert, and the loss of vegetation and wildlife habitat were also considered, but the report concluded that noise control plans and other mitigation measures would satisfy city requirements. Once work is underway, contractors will be required to limit truck movements to the hours between 9am and 3:30pm, or other times if approved by the SFMTA. Similarly, jackhammers shall use exhaust mufflers, which can lower noise levels. To maintain the hillside's integrity, areas with overbreak and wedge failure will be stabilized and backfilled with shotcrete. Via email, project sponsors Dawson & Clinton notified residents that the mitigation measures described in the report would minimize the construction's impact on the neighborhood. "The Planning Department has been very thorough in their work and we appreciate all of their diligence," they wrote. A timeline published on the developer's website suggests that construction could start in August, with the project completed by May 2021. But according to the Planning Department, developers must obtain a Conditional Use Authorization from the Planning Commission before work can begin. Dawson & Clinton will host a community meeting at 271 Upper Terrace on May 30 at 6 p.m. to answer questions regarding the environmental report and share project updates.